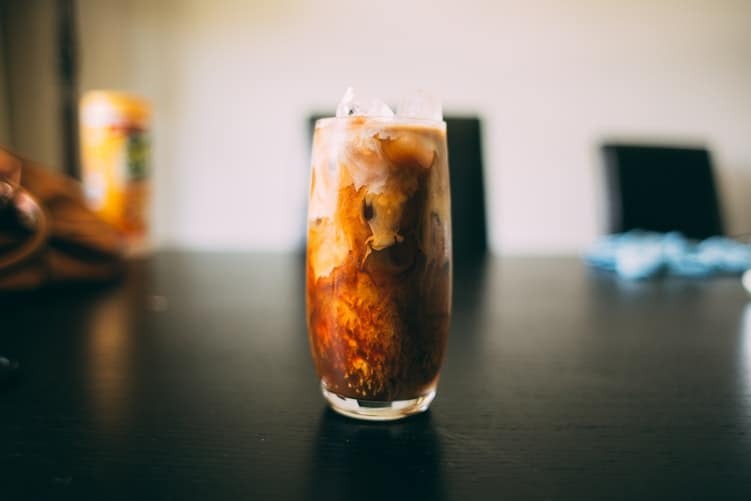 Everyone loves espresso and with the popularity of fancy coffee drinks only continuing to rise, many people are trying to find the perfect espresso machines to deliver their favorite drinks in the comfort of their home. The meaning of “cafe espresso” is literally pressed out coffee. This is made by a process of forcing hot water through a finely ground coffee bean. Everyone finds this method to be a bit challenging at first, but a great espresso machine like the La Spaziale Dream T can help you to be more successful. Once you are able to master the brewing process, you will never go back to drinking espresso from a coffee shop and will opt to make it at home. 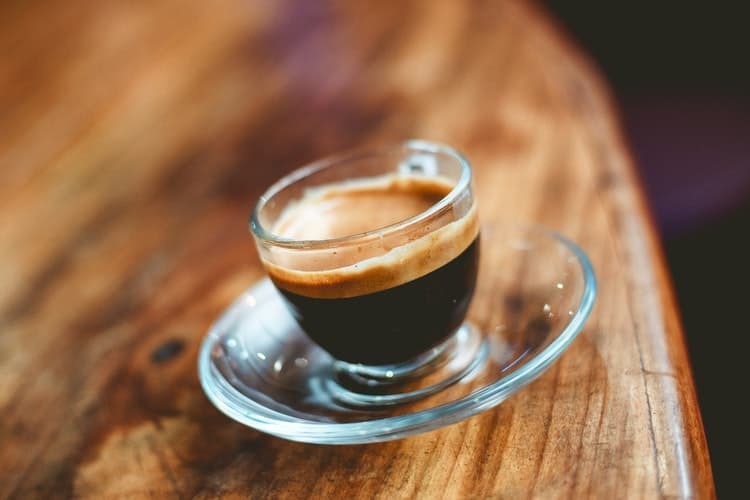 One of the reasons that mastering a great cup of espresso is so hard is that if you have a slight variation in the temperature of the water or the pressure that is used, it can produce something that does not taste very good. The best espresso machines are a little more forgiving so that beginners can still brew something delicious. You want an espresso machine that is going to give you an extra rich flavor from the beans while offering a complex balance of the bitter, sweet, and sour flavors of the espresso. Choosing the best espresso machine can be tough, but don’t worry if you choose the La Spaziale Dream T, it is not going to be hard for you. This machine offers a great balance. It is easy to use, has customizable settings, and produces a delicious cup of espresso every single time, even with beginners. One thing to remember when choosing a good espresso machine is that it should offer precision. This is how you are going to get the best-tasting espresso. It will have texture and flavor balance. If you get a machine that offers no room for error even if you are not an experienced user, do not have the best beans, or regardless of what the weather is like; you are going to end up with a delicious shot of espresso. 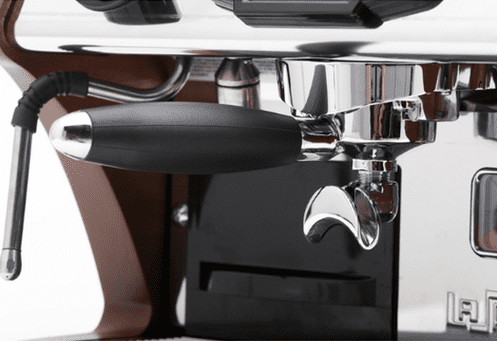 It is very important that the espresso machine that you use utilizes water that is between 186 and 194 degrees F. One of the things that we appreciated about the La Spaziale Dream T is that it always held water between 188 and 190 degrees. We tested the temperature multiple times and every single time it fell in this range. We tested the water with a single pull as well as with multiple pulls in a row and it was always a nice even temperature. If you have water that is under 186 degrees then the espresso is going to taste sourer. If the water is over 184 degrees then your espresso is going to taste burnt. One of the biggest complications with many machines is that if you want the machine to steam milk, that requires that the milk is heated to at least 212 degrees. The La Spaziale Dream T had no problem steaming milk, even as the espresso was being pulled at the same time. This is really quite impressive as so many machines do not offer this ability. 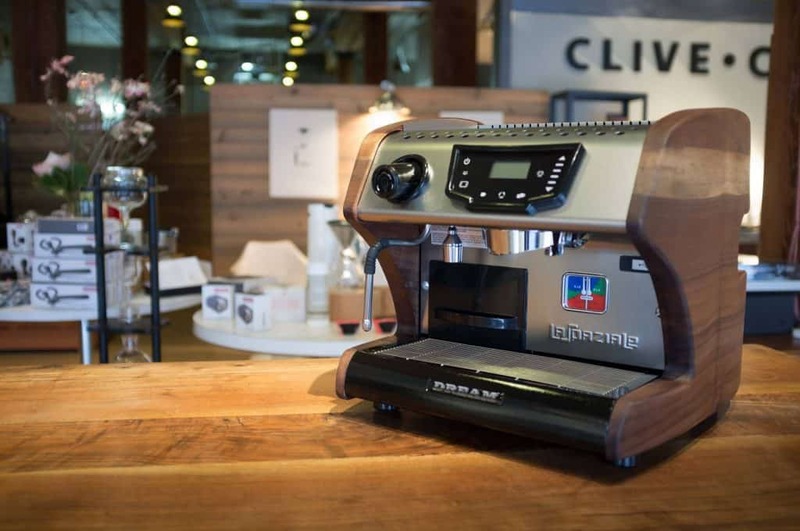 What Exactly is the La Spaziale Dream T? Who Will Love the La Spaziale Dream T? The La Spaziale S1 Dream T Espresso Machine is readily available for purchase from a wide variety of retailers. The machine retails for around $2,895, but you can find it from some discount retailers for around $2,000. While this might seem like a lot of money, when you consider how much money you are spending on your daily coffee it does not seem so bad. For instance, if you buy a typical espresso drink from a coffee shop you are going to pay anywhere from $3 to $7 and you pick up a coffee five out of the seven days a week, that is two hundred and sixty days a year that you are buying coffee. If you pay your barista a tip and you should be paying them a tip, then it is going to be even more money. So if you average $5 x 260 = $1,300. So in 2 years, you will have fully paid for your at home espresso machine and then you will be drinking coffee for years without ever having to pay more than the simple cost of the coffee and milk if that’s your thing. So, to break down exactly the information that you need to know about the La Spaziale Dream T, we are going to discuss some different points. The La Spaziale Dream T is a very highly rated commercial espresso machine. It has a rotary pump and offers you two saturated group heads that you can choose from. It offers a large-sized boiler so you can have three to five liters of water ready to go. 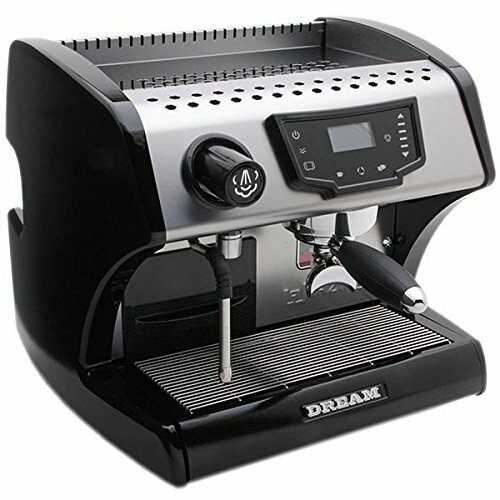 It is a direct plumb version of the espresso machine which you will quickly fall in love with. The La Spaziale Dream T is really a great espresso machine for any coffee lover. The home user will find that it far exceeds the warranty as it will get less use than it would in an office or small coffee shop setting. An office or coffee shop will find that it lasts for years since it is made to produce high levels of drinks over time. This is one machine that can keep up with busy demands and still offer a great cup of coffee every single time. The machine is very quiet and offers a quiet operation level that really is perfect for the home or the office. This is one of those things that you might not really put thought into until your espresso machine is drowning out your conference call and then you will instantly wish that you had chosen a quieter model. The La Spaziale Dream T is one of many machines that are built by the family-owned La Spaziale company. This family-owned business is very successful and known for having some of the best espresso machines in the entire world. Their machines are built to be strong enough to last for many months and are a great choice for those who want a machine that is going to last them for some time. In fact, thanks to their superior quality, La Spaziale has been able to make over 13,000 machines by hand each year. Yes, their machines are still built by hand. These machines are exported throughout the world. One of their biggest markets is in the UK, but they are available everywhere. This family-run business has been successful in part because their owners are still very involved. The family is able to help each other grow with their unique strengths. Overall the factory is welcoming and allows for visitors so that you can see the production team and how this is going to do things. They have their own coffee shop that is called Jakarta. This is one of the best coffee shops that you will ever visit so if you are by the property, this is a great choice. These great machines are a hand-crafted masterpiece of design and something that has a lot of work put into them. The company was started when three friends from Italian were in Bologna in 1969 and wanted to bring their vision for delicious cups of coffee. The first step is that the espresso machine pieces are cut from the metal sheets who are ready for cutting. The cutting machine uses lasers to ensure that they have exact precision. The machine has a very specific design for the print. This gives each machine a perfect design that is consistent. After this, the different finishing touches are added by hand. Once all of the sheets and the frames are made they are sent to the main La Spaziale factory where they are assembled. The La Spaziale headquarters are where the magic happens and are each one of two factories. The individual parts are stored and assembled by the experienced staff. Some of the parts, like the group handles, are put together by hand. All of the group heads are very carefully built so that they can be accurately assembled to the machine. After the individual parts are all built, there is a trolley that is made with the components for each specific model. The staff member builds the machine by hand and each one of these machines actually takes over three hours to be assembled completely. Each one of these machines is made to order. This allows you to choose from specific variations for each model. 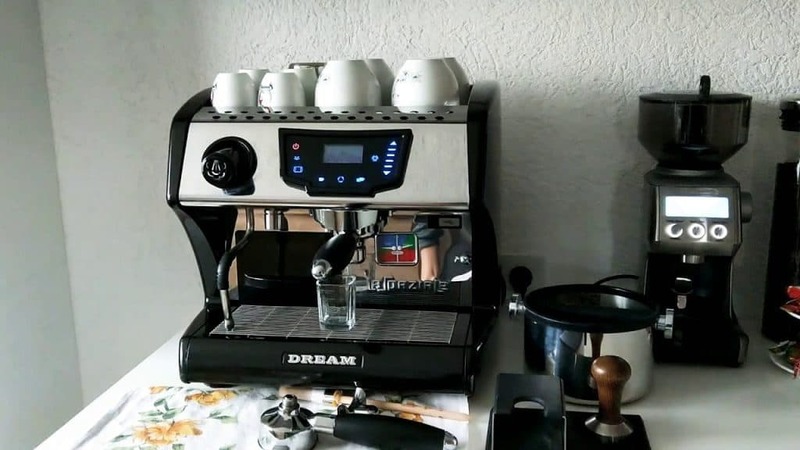 You are actually able to create your dream espresso machine, which is perfect for any person who loves to drink coffee and wants to be sure they have their own at home. Each model has a basic frame, PCB, and pump. The rest is all controlled by you. The factory is very quiet and professional. It feels controlled and there is a nice working environment. After each machine is built, they go through a superior testing stage. This ensures that each machine arrives in top condition. This includes testing extensively to ensure that it is going to give you the proper brewing temperatures and pressures along with everything else. In 1969 four friends who were from Italy who wanted to build a better espresso machine got together. They had been using espresso machines for over twenty years, having started in 1947. This meant that they knew about the innovation and quality. The company continues to go with the same values and attention to detail that has always made them the best. The first factory opened that same year in 1969 in Bologna and today is home to more than six thousand square meters of industrial plant. La Spaziale has four different regions and the corporations there are appropriately named. La Spaziale Italy, La Spaziale USA, La Spaziale Brazil, and La Spaziale Romania are each a great choice for that. Each of these great products offers you everything that you need so that you can get your business up and running. Each of these is a great product and a great overall choice for someone who wants something that is made of great quality. One of the things that you can easily learn is how to brew the perfect cup of espresso. 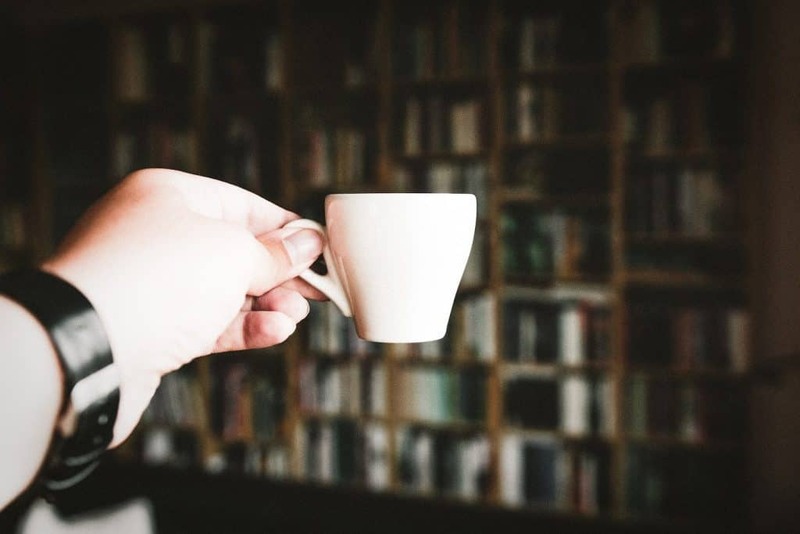 Since espresso is the base for most coffee house favorites, you are going to find that learning to brew the perfect espresso even helps you with making the perfect lattes and cappuccinos. When you make espresso, you simply are forcing hot water under pressure through a tightly packed puck of fine ground coffee. You must make sure that the water is not boiling. You need to get the coffee ground as fine as possible. This will lead to a more dense puck which means that you are going to need to push through the water with more force. This is one of the things that you have to learn about espresso. The best way to tell if you are using the right water pressure is to time how long it takes for the water to go through the puck. It should take around twenty to thirty seconds. If you take longer than this to go through the espresso is very bitter. Another thing that you will need to make sure that you are doing right is adjusting the grinding so that it produces the right choice for the coffee. Every single shot takes one and a half ounces of liquid. This should all be done in literally twenty-five to thirty seconds. If you are making a double shot, you will want to make three ounces of the liquid. This pushes through two tablespoons of coffee grinds in the same time period of twenty-five to thirty seconds. A lever espresso machine has pistons that are going to add additional pressure that can be applied with external force. 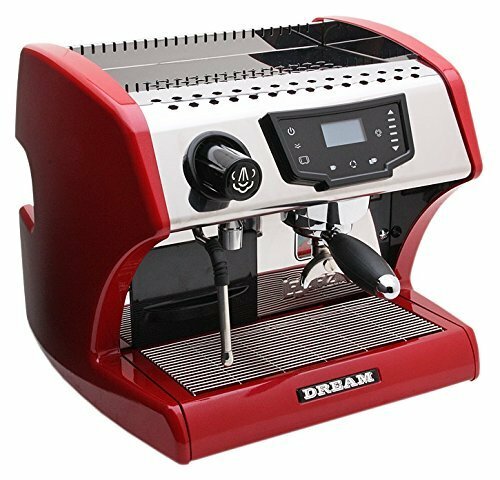 There are a few things that you will need in order to make the best espresso and one of those is a perfect espresso machine like the La Spaziale Dream T. In conjunction with a great coffee grinder and excellent coffee, you are sure to see a high-quality beverage each and every time. One thing that you might to make sure of when you are choosing an espresso machine is that you are getting one that is pump driven. In addition, you will want to make sure that it can perform with a minimum of nine bars of pressure. You should be making sure that the machine operates off of a boiler and that it features separate portafilters for double and single shots. Now, you still have to fresh grind your coffee for the best flavor. You will also want to grind it as fine as possible. Make sure that you are using Arabica beans for the best results. Robusta beans can be tempting because they are known for being so strong. However, Robusta is rarely as high in quality as Arabica is. This means that you will have a harsher flavor and a drink that is not as smooth. If you are trying to add character for a blended drink, you might want to use Robusta but if you are just drinking a shot of espresso or making a hot drink, this is not a choice that will make you as happy as something else would. There are many things that you will want to do in the process of making espresso. One thing to consider doing is heating the portafilter by running hot water through it. You will also want to make sure that your espresso cup is pre-warmed. This can be done on the heating tray of your machine if it has one. You can also pour hot water into the cup and then drain it. If you want to heat the portafilter and cup at the same time, you can simply run an espresso cycle with nothing in it. Then simply dump out the water and you are ready to go. Next, you will grind the coffee and scoop one tablespoon of coffee into the single shot portafilter or two tablespoons of coffee into the double shot portafilter. Each espresso machine should come with a pre-measured spoon. This helps you to know exactly how much coffee is needed for a single shot. This can simply be used twice to produce enough coffee for a double shot. Once you have your coffee in the portafilter, you will want to tamp it with the tamping tool. Be sure to use the tool in a steady and even motion. This is going to help keep the coffee level and compacted. Then you brush off the loose grounds before attaching the portafilter to the espresso machine. Once you have the portafilter locked into the machine, you will place the cup under the nozzle. Then you simply start the pump. Once you have the appropriate levels of espresso, you might want to shut off the machine. The coffee should be darker at the beginning and should finish with a nice frothy cream color at the end. This end part that is cream in color is known as the crema. Make sure that you are always using uniform pressure. This will make the entire process between twenty-five and thirty seconds. If you getting espresso in less time, you need to pack it tighter. If you are getting espresso in more time, you need to make sure that it is not packed as tight. Make sure that the portafilter is clean. Soften the water that you are using or use bottled water that is distilled. Always preheat the equipment including the machine, cup, and portafilter. Check the grind and change it if the espresso that is produced is not what you are looking for. Always use fresh espresso and make sure that you are grinding the beans just before you are going to be making your espresso. Make sure that you check the grind and if you are not getting the espresso that you want, change the grind up. The extraction should take between twenty-five and thirty seconds. It should not take more time that or less time than that. If it is not right adjust the grind appropriately. Use two tablespoons for a double shot and one tablespoon for a single shot. Make sure that you tamp the grind evenly in the portafilter. Also, be sure to wipe the loose grinds off of the portafilter before locking it into the brew head. One of the things that we noticed when testing the La Spaziale Dream T is that we were easily able to get a shot that was easy and precise thanks to their great programming. This meant that I did not have to spend time working on the set up of the machine. When we first explored the onscreen menu, the navigation took a little. It only took a little bit of playing around for me to actually be happy with what I was using. We got consistent shots from the very first shot. There was no time to adjust to using the new machine as it was easy to use from the beginning. Additionally, there was a perfect amount of crema and a nice foam when I worked on steaming milk for my latte. The foam was dense and lovely, helping to make the perfect coffee drink. It was easy to learn how to create art with this foam which was nice because we could impress others with our coffee making skills. One of the things that I liked about the machine is its ability to steam for a lengthy time. It is a very powerful model. In addition, the microfoam making process is very fast. I choose to only pull one shot a day for myself. Sometimes I am able to get the foam to be so dense that it appears to others that I have been using whipped cream instead of foam. We set our machine up on a 20A outlet. It heats up everything at the same time and it is a machine that we would highly recommend for experienced coffee drinkers as well as beginners. Another thing that we really appreciated was that it was easy to adjust the plumping on the machine with the included pieces. It was able to run through a basement or a sink. There were many John Guest fittings and a lot of tubing that were something that you could not possibly mess up. All you had to do was cut it to the right length and push it on the right areas. One suggestion was to simply run it off a fridge ice maker. Of course, if you use both of these there could be pressure issues if they were to run at the same time. It comes with a variety of accessories. The want is a nice round teardrop shape and features both chrome handles and rubber grips. This makes it as practical as it is stylish and easy to use. The baskets that come with the machine are a really good quality. Many people have commented that they cannot believe the quality of the included basket when testing. The triple of the baskets offers a special release with the puck. This means that even if you forget about it for a considerable amount of time, it is easy to release and clean. The PF is bottomless and has a smoothly polished bottle that features a chrome inside. It is styled in the same rounded way and has the chrome handles and rubber grips that keep it stylish while offering professional-level quality. Espresso seems like an easy enough venture. It is simply a single serve portafilter with a puck made from one tablespoon of coffee that is used to produce one ounce of espresso. This seems simple when you think about it, but if you have been a coffee shop and seen their expansive menu, you know that this is not it. You are likely going to want to learn how to make your favorite delicious coffee drinks from home. We didn’t want you to be disappointed so we thought that we would share the basics of the most common drinks. Luongo – a very long pull of espresso that is brewed so that the liquid is more than ⅔ of the demitasse. Ristretto – a very short or restrained shot that is actually brewed at less than ⅔ of a demitasse. This is exactly what it sounds like. It is two ounces of espresso that has been made from two tablespoons of coffee in a double portafilter. Some people prefer to keep the double at about one and a half ounces of espresso so that it is a more concentrated and thicker shot. It will have a stronger and creamier crema if it is a double shot than a single shot. A double espresso can also be made as a luongo or a ristretto. This is a single espresso that has a simple touch of foam. Macchiato actually means stained or spotted. This is where the espresso is simply stained with the foam. You can order one of these as a single or double shot. The cappuccino is a drink that is made in thirds. You will have one-third of espresso, one-third of steamed milk, one-third of foam in a perfect cappuccino. It is the most traditional way of making cappuccino. You want the milk to look glassy and smooth. It should be shiny and should not have any visible bubbles. The milk and foam then get blended in order to create a thick and creamy texture. Most people use ristretto shots when making cappuccino. The dry cappuccino is basically a cappuccino but there is more foam to steamed milk in the ratio. It is a foam heavy thick drink. You get a creamy glassy texture like a more traditional cappuccino. The ristretto shots are used with this. The Cafe Latte is a drink that is comprised of one-third espresso, two thirds hot milk, and a thin layer of foam. 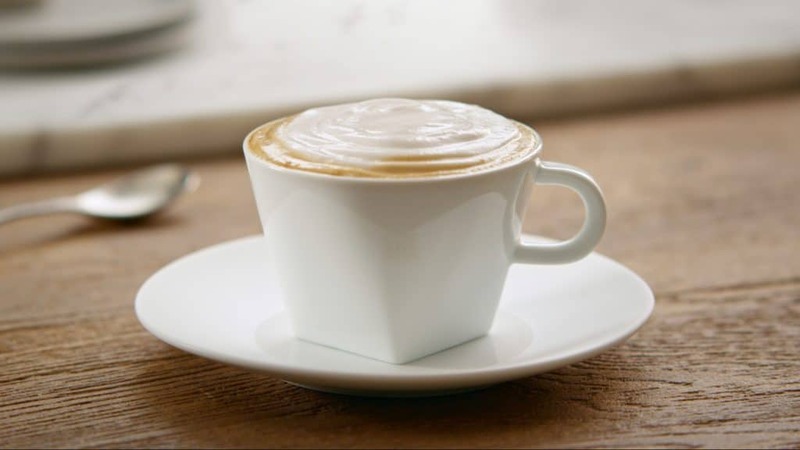 A cafe latte will offer that same glossy finish like a cappuccino. It is made with the ristretto shots as well. The Cortado or Gibraltar is the same drink depending on where in the world you are from. It is a drink that is made from half foam infused milk and half espresso. This is a drink that is perfect for the strong coffee drinker who wants a little milk to soften out the flavors of the espresso. It is a drink that would be in between that of the macchiato and a cafe latte. It requires a double pull in the risettro style. You drink this out of a special Gibraltar glass. You want to have milk that has the same consistency that you would use in your cafe latte. This is going to help you to have a nice smooth, glassy, and creamy texture that you desire. An Americano is a frequently requested drink at coffee shops around the world. This drink is made from a double shot pulled long and hot fresh water. It creates a very bold tasting coffee. The espresso shot is pulled atop the hot water in order to maintain the consistency of the crema. Many shops do this the opposite way and the result is a subpar version of this delicious classic. This drink is made from ⅓ espresso, ⅙ cocoa, ⅓ milk, and ⅙ foam. The first layer is the cocoa. Then you are going to do a pull from a double shot of espresso. This is topped off with a steamed milk that is the same consistency as the cafe latte. Most places use a sweetened cocoa but some do not. This is another drink that is made with a ristretto. The flat white is another classic favorite. This one is made from ⅔ steamed milk, ⅓ espresso, and a thin layer of micro-foam. This is a delicious coffee that has been linked to Australia, so it is often referred to as the Australian Latte. It is served in either a six or eight-ounce size and you want to make it topped with the thinnest foam layer possible. The biggest mistake that is made with this is that the person makes it with too much milk and you lose the delicious flavor of the espresso. This is one popular coffee choice that is delicious and offers a unique experience. It features a full sixteen-ounce cup that is filled with ice. Normal drip coffee is poured over the ice with room at the top for a double shot of espresso. Automatic Timer that Allows for You to Set the Machine for 7 Days and 2 Times Each Day! This means that you can have your coffee ready when you are waking up and your partner’s coffee ready too. Easy Plumbing! You get everything that you need with the machine. Four Programmable Profiles. You can have either a different style profile or a different coffee. Brushed stainless steel front for a sharp appearance. Can program every single step. Passive pre-infusion that you can program. Hot water spigot is adjustable and programmable. Includes both a single and double portafilter. The rotary pump works quietly. Touchpad adjustable dosing that is volumetric. Manual and Semi-automatic buttons so that you can make it on your own or with a little help. Adjustable PID control that allows you to adjust to one degree Fahrenheit with a clear display screen so that you are aware of the temperature. Timer and shot counter so you can avoid having to use a magnetic shot clock that you simply stick on a machine. Memory card writer and reader with the machine, built into the front of the machine for simple and easy machine upgrades and bios for clear functioning. Water line features a ⅜” John Guest fitting and is a five-foot-long water line for a simple installation. It functions on either 20 amp or 15 amp which is changeable through a feature on the touchpad. The steam arm is very short, and you cannot get it to move far enough from machine very easily. It is very hard to steam any larger amounts of milk because of the angle it is constantly bumping into the drip tray. You cannot see the manometer as it is too high under the front of the panel, but this is something that the company has made promises to redesign with the newest models. The steam knob is very smooth which makes it slippery after steam has hit and this can, in turn, make it difficult to turn. There is a lot of play in the steam knob as well and many professional or advanced users prefer a classic steam lever. The La Spaziale Dream T is an amazing machine. It is a high-quality piece that will ensure that you have the ability to create the perfect espresso drinks. We highly recommend this machine to everyone form the weekend kitchen barista to the owner of a high-end cafe!